يشكل فندق Peppers Parehua بموقعه الممتاز في قلب هذه المنطقة الرائعة كنقطة انطلاق ممتازة لاستكشاف المدينة. يمكن من هنا للضيوف الاستمتاع بسهولة الوصول إلى كل ما تقدمه هذه المدينة النابضة بالحياة. يوجد العديد من المعالم السياحية الأكثر جذبًا للسياح في هذه المنطقة. إن حسن الضيافة والخدمات الراقية التي تعرف بها Mantra Group تغني تجربتك في Peppers Parehua. يمكن للنزلاء الاستمتاع بالميزات التالية: واي فاي مجاني في جميع الغرف, مرافق مخصصة لذوي الاحتياجات الخاصة, تسجيل وصول/خروج سريع, تخزين الأمتعة, واي فاي في المناطق العامة أثناء إقامتهم في هذا المكان الرائع. تنعكس أجواء Peppers Parehua في غرف الضيوف.تلفزيون بشاشة مسطحة, حوض الاسترخاء, غرف لغير المدخنين, تدفئة, مكتب هي بعض الميزات الموجود في العديد من الغرف. يمكنك طلب اللائحة الكاملة للخدمات في الفندق ومن بينها حمام سباحة خارجي, تدليك, ملعب تنس, حديقة. يشكل Peppers Parehua بخدماته الراقية وموقعه الممتاز، قاعدة مثالية للاستمتاع بإقامتك في المدينة. مكتب الإستقبال مفتوح من 08:30 AM إلى 06:30 PM. الضيوف الذين سيصلون خارج هذا الوقت بطلب منهم التواصل مع العقار مباشرة قبل موعد الوصول لترتيب هذا الأمر. Thoroughly enjoyed our stay The cottage was spotless, luxuriously appointed, the toiletries divinely scented with pepper essential oil, and we would definitely stay again. At the price point the size and quality of the accommodation (ours was Lakeside Cottage) is excellent! It can get hot in this part of NZ and they had the air con going for us when we arrived and it was very effective. Enjoyed the spa bath in the cottage. Neither of us found the pillows very good. The room also lacked an in room safe for valuables. Breakfast is a relatively simple affair with continental buffet and a main option ordered from an a la carte menu with about 5 or 6 options...I have to say I wasn't hugely impressed by the mains. Locationwise, it is possibly a little further out of town than some options, but still fits the Martinborough brief of being able to walk to wineries. 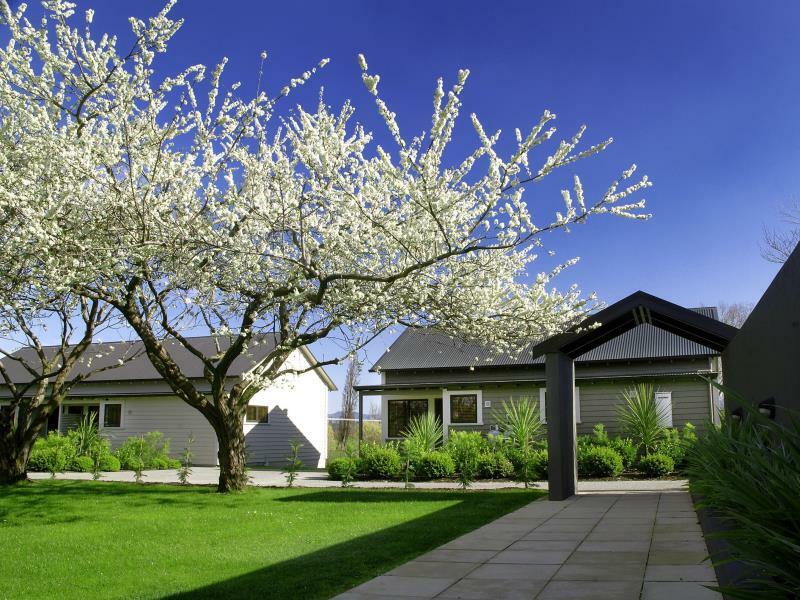 It is 15 mins walk to the Martinborough Hotel / main square. They do rent bikes, but at what I considered a ludicrously expensive rate of $40 / 4 hours. We booked a night at first and when we entered our cottage we immediately book a second night. We stayed in the garden cottage and found the place so relaxing and we rested well here. 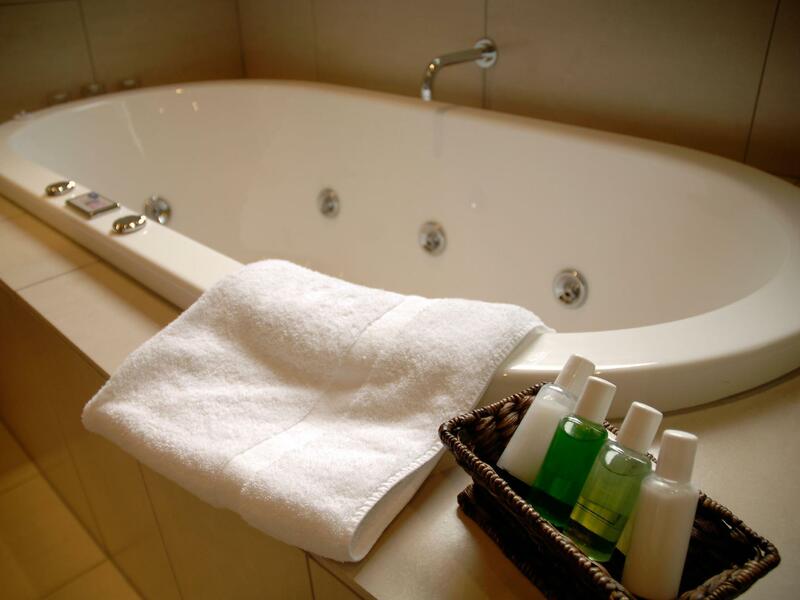 Love the en-suite jacuzzi bath. We will come again. Nice breakfast included with tariff - continental and cooked. Unfortunately the on site lake used as a wedding backdrop is covered in a terrible red algae which hides that there is water underneath. Checking in was a breeze, the receptionist was so lovely and helpful. We stayed one night in the cottage and we loved it. It was clean, modern and quiet. Then we had dinner at The Pavilion, the food was so yummy and the waiter Brent if I'm not wrong, was superb. Excellent customer service. Everyone who served us was nice and we felt welcomed. Overall amazing experience. We will definitely come back! Beautiful accommodation with great facilities. Delicious breakfast and very friendly and hospitable staff. Will definitely recommend to friends visiting Martinborough. Spacious room , good bed and linen, great coffee and outstanding breakfast and service. Friendly staff. Pros: We were lucky to have the beautiful lakeside to ourselves. Great size cottage with spa. Gorgeous cottage. The dinner (ordered room service) was perfect on both nights and included vegetarian options. Customer service was lovely. Cons: Breakfast is very basic and disappointing. And the pool and pool area was also disappointing as this didn't reflect the aesthetics of the rest of the property. Well situated, quiet and quality cabins/units/apartments. From the location to the furniture Peppers has nailed it. We travel a lot and this is definitely somewhere we will return to. Lovely location, enjoyed swimming in the pool. Breakfast staff are rather stand offish, nobody greeted us as we arrived for breakfast, nor did they speak to us, this seemed to be how they were to a number of others at breakfast too. Staff only engaged with people if they asked staff for something. Awesome friendly and helpful manager. Nice cottage type units and great breakfast. We will be back! First of all, I misunderstand here is Wellington, but it's not. there still 80+km to reach to Wellington. But, the place is nice. the room is excellent. I love here. Room was very spacious, clean and nicely appointed but the bed was very uncomfortable, only realised on leaving that the frame was broken on my side. We tried to book a couples massage with reception which they didn't do as we discovered the next day when we enquired about our session time. Turns out they couldn't offer it anyway as there was only one therapist. We ended up booking for seperate appointments which was fine since we had the time. The day spa which is really only a room, became really hot and stuffy. The massage therapist was very good though especially with the last minute booking and offered us a discount because of the mix up. The rest of the staff were lovely. Breakfast was good too. We liked the villa we stayed in. It was very clean and cosy. The little fireplace was a nice addition! The bed was alright and the breakfast was one of the best ones I had so far in NZ. I recommend this place. Just a bit disappointed. I felt That the property wasn't at five star level.our room was gloomy and there was no coffee left on the second day. A free biscuit in the room would have been nice and the bathroom toilet and hand basin plumbing was not working well. The breakfast was very good and the bird life lovely. However the mouse from the next room was off putting on our first night. We absolutely enjoyed our stay. Unfortunately staff may need more training to be up to the standard of a 5 star hotel. Breakfast was good and options are few. Top up on buffet breakfast is a bit slow though we don't mind it as we are on a holiday.